Supply chain protocols worldwide are being transformed. External pressures, technology trends and internal evolution are prompting companies to reevaluate their network to determine how their future supply chain should be structured, both in terms of capacity and capabilities. Let’s look at the four main areas of transformation potentially impacting your supply chain. Emerging Technologies: Drones, autonomous intelligence and robotic automation will eventually transform warehousing and transportation, which will create networks that may look and operate very differently from those of today. Technology-driven Supply Chain protocols will dominate logistics in the coming years. Supply Chain Visibility: The Internet of Things, Big Data and data transparency will improve an organizations’ ability to gain visibility on the real-time status of their supply chain network, thus giving them the ability to not only rapidly respond to problems but more importantly, anticipate and prevent them more effectively. Data abundance will be used to draw insights on both short-term and long-term improvements to the supply chain and beyond using statistical analysis. Sharing Economy: On-demand warehousing and on-demand logistics will allow organizations to be more flexible in how they operate their supply chain. Lower capital expenditure and higher adaptability will likely be attractive for organizations that are in rapidly evolving industries. In 2014 the size of the shared economy was estimated to be 14 billion dollars. By 2025 it is estimated to grow to 335 billion. With these broad trends in mind, organizations must constantly track select metrics like warehouse utilization levels, actual customer service level, cost to serve/profitability of product categories, and use of stop-gap measures to determine if there is an ongoing impact on revenue growth and operating margin. We must carefully consider the factors impacting a supply chain design. Examining the external trends, measuring key supply chain metrics and evaluating the network against the business strategy, usually determines that the supply chain requires some or even major overhaul. This is precisely where a qualified 3PL can provide expertise in data analysis and supply chain design. Land Link is expertly qualified to compile and evaluate key metrics in your supply chain performance and determine to what extent these emerging technologies may improve your existing supply chain protocols. Contact us for more information. Automating simple, routine processes frees up workers for other tasks and reduces human error. A common reaction to the increase of automation is the fear of being replaced—but a more optimistic outlook sees robots enhancing human productivity through collaboration, rather than outright replacement. Skilled workers are in high demand, so it’s important to make the most of the talent you have. Why waste an experienced employee’s valuable time hunting for tools or checking inventory? 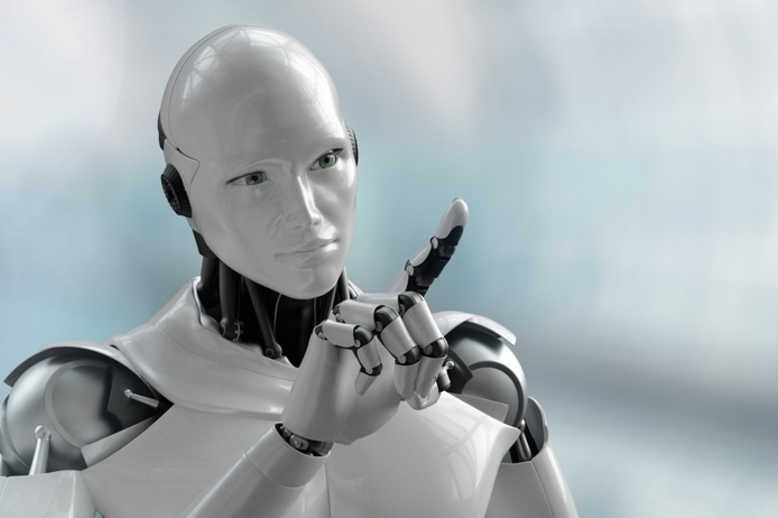 ROBi, which stands for Robotically Optimized and Balanced inventory, aims to solve this problem by automating inventory and routine cycle counts to save time and enhance accuracy in automotive manufacturing and warehouse environments. As the logistics industry, and the broader business world, looks to 2019, it’s time to explore what the next year will bring to logistics. After reviewing several industry sources most Logistics professionals are in agreement with all of these trends. We hope this information will help your organization prepare for what's ahead. 1. The Truck Driver Shortage Will Expand With No End In Sight. The driver shortage has been an ongoing problem for many years. Among the biggest issue is that there is very little interest in trucking careers for young men and women from the 18 - 28-year-old generation. As of now, it appears unlikely that this truck driver shortage will end soon. World Bank data shows that U.S. import and export traffic nearly doubled between 2000 and 2016. During that time period, twenty-foot equivalent unit (TEU) traffic increased from 28.3 million TEUs in 2000 to over 50 million TEUs in 2016. Despite a huge rise in demand for truckers to transport these imports and exports, the number of qualified drivers is not growing. Young immigrant driver prospects and driver-less technology is simply not enough to fill the void of capable driver solutions. 2. Big Data And Blockchain Technology Will Revolutionize Logistics. In 2019, many small to midsize importers and exporters that are working with freight companies will choose to use big data when shipping goods globally. With the touch of a button, they will approve shipment specifications, see their cargo be loaded/unloaded, view the condition of their cargo, read the temperature inside a container, and track important milestones like customs clearance, arrival dates, and delivery receipts. The mass adoption of big data will be a game-changer in logistics. Blockchain technology will increase transparency for importers and exporters in 2019. It will replace needing extra time and personnel to record transactions within the supply chain. When shipping globally, there are many parties involved, so it will benefit shippers to minimize information disruption, reduce paperwork needed, and maintain access to original information without worrying about tampering during and after shipment. 3. Payments Will Be Safer, And Cross-Border Transactions Will Be Easier. In 2019, new payment technology will reach the logistics industry on a widespread scale, leading to more secure transactions globally. The global trend of the last decade toward widespread credit and debit card use, as well as the introduction of cryptocurrency as an alternative form of payment, will accelerate in logistics. In 2019, most shippers will choose to pay for the shipment of goods with major credit or debit cards, as freight companies and other intermediaries are pressured to offer this payment convenience. This will help everyone, as small to midsize importers and exporters will have payment flexibility, while freight companies can get paid faster. One downside of cryptocurrency is concern over countries being able to side-step economic sanctions by using cryptocurrency to pay for goods. Cryptocurrency pioneers and the banking industry are working on security protocols to address these concerns from international governments...mostly the United States. 4. The Logistics Industry Will Continue To Consolidate, Leaving Few Major Players. Today, the top three shipping alliances are 2M, Ocean Alliance and THE Alliance. Together, they are composed of 11 shipping lines, including most major shipping players. In 2019, more alliances may be formed, shipping lines may move to start new alliances or two alliances may merge. 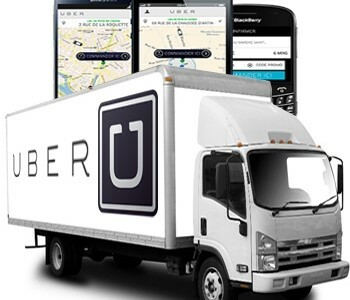 Similar trends are emerging in the domestic logistics environment as well. By the end of 2019, further consolidation may mean higher rates due to less competition. However, through consolidation, shipping companies will offer top-tier customer service and increased capacity. In 2019, consolidation will continue to be a double-edged sword. For these reasons it is important to develop a relationship with a 3rd party Logistics provider to take advantage of established, volume rates and relationships in order to make your organization relevant at the bargaining table. Contact us at www.Land-Link.com today for a no-obligation consultation. No matter what happens in 2019, it’s clear that change is coming to logistics. Importers and exporters, as well as domestics shippers, must be prepared for the future Logistics environment, or they will be caught off guard. 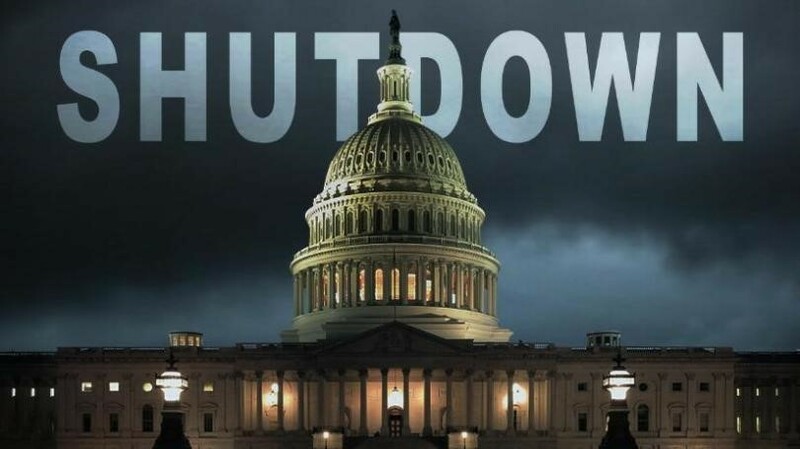 The maturing Government shutdown may soon affect freight operations in the U.S. All positions vital to national security will remain staffed but many are as yet unpaid. Government shutdowns like the one we're experiencing have a significant effect on morale. Everyone involved in the impasse is getting paid, whether they need the money or not. Some resentment by rank and file is completely understandable. Some may express their dissatisfaction through their work performance. Here are some areas in which we will see the most immediate impact. Customs and Border Patrol will prioritize security of all kinds over speedy freight flows, so there is potential for long delays at truck crossings along the northern and southern border. The biggest concern is for ancillary agencies that need to sign off on clearances like USDA, Forest Service, etc. How those agencies prioritize staff is a big question. Being flexible and monitoring crossings will be crucial to gauge any impacts. Air and ocean imports will have the same types of potential delays as truckload crossings; however, the ancillary agencies often play a bigger role at ports and airports. Sequestration cuts in October also had an effect on staffing, which means we will see wait times rise even higher. Again, flexibility is essential here because consistency may be the biggest threat of both a shutdown and further sequestration. Day-to-day operations will likely not be disrupted at all because FMCSA is funded as an agency outside of the funding that potentially would be shutting down as part of the continuing resolution being debated. There may be some delays and disruptions delivering to federal facilities that require appointments as facilities may not be staffed to load or unload. Examples include places like military bases, prisons, and federal construction projects. In addition, programs like the EPA SmartWay® program may be included in any furloughed operations. We are now in day 10 of the partial government shutdown with no talks to reopen scheduled. More people blame President Trump than Democrats in Congress for the shutdown. Forty-seven percent of people held Trump responsible, compared with 33 percent who blamed Democrats, according to a poll by Reuters/Ipsos released on Thursday. Regardless of who is to blame, a prolonged shutdown is bad for everyone. The ripple effects of backlogs and bottlenecks at customs and border crossings could be felt for the coming months. Our economies and our lives depend on the efficient movement of goods; a movement that is underpinned by complex transport and logistics chains. But, while delivering goods from producer to end user, transport and logistics systems are under increasing pressure to deliver greater efficiency, more sustainability, and improved cost-effectiveness. Connectivity and IOT ( The Internet of Things ) will be the key components to a competitive edge in the Logistics of tomorrow. The IOT, as you may recall from previous blogs, represents basically any piece of machinery involved in a supply chain. 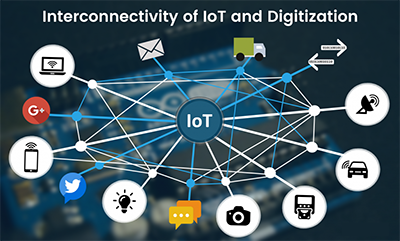 Implementing IOT technology will allow 3pls the ability to communicate directly with the hardware involved in the production and retrieve the necessary data directly rather than deal with personnel. With a connected network, this type of data can be seamlessly retrieved by 3pls and disseminated to suppliers and providers. It is worthy to note that the decimation will likely be protected by blockchain technology for enhanced privacy and protection. Transport and logistics are facing the same challenges as other sectors – the need to increase efficiency, improve sustainability and lower costs. For transport and logistics, however, this is further compounded by the need to offer a better customer service in the face of growing customer expectations, and to ensure compliance with ever more stringent regulations. The improved connectivity that the project will deliver will enable the scalable, trusted and secure exchange of information. This, in turn, will improve the overall competitiveness of goods transport in the supply chain and make it more environmentally, economically and socially sustainable. Improved connectivity will also support cooperative ITS solutions, which will also improve logistics operations by generating real-time traffic information, allowing better tracking and tracing of goods. The ability to connect with machines globally and the IOT infrastructure in place to globally communicate pertinent logistics data to and from suppliers and providers, securely, will separate the players from the also-rans. Real-time monitoring of trucks, vehicles, and goods in transit via the IoT has been around, says Timothy Leonard, executive vice president of technology for TMW Systems, and is only getting more capable as the number and sophistication of sensors and IoT infrastructure improves. According to Leonard, formerly a technology executive with General Motors, as sensors on trucks and trailers are becoming more numerous, they’re getting smarter and more capable of monitoring different conditions. Additionally, governments in places such as Ohio with its Smart Mobility Corridor program are embedding fiber optic cable and sensors right into roads to create “smart roads” that can help pinpoint congestion or weather trends. As a result, there will be a richer data stream to draw on for predictive analytics. The onus will be on vendors to develop predictive analytics solutions that are adept at helping with specific transportation decisions. “With the advent of smart road networks and infrastructure, and smarter sensors in trucks, the evolution of what we can do is just getting better and faster for us,” adds Leonard. Digital supply chain management isn’t all about the IoT and visibility into goods in transit—it will also involve mobile robotics at the DC level to reduce labor requirements and help DCs keep pace with e-commerce growth, says Dwight Klappich, a research vice president with Gartner. Mobile robotics, contends Klappich, are more flexible than traditional automated materials handling systems that require extensive fixed infrastructure. 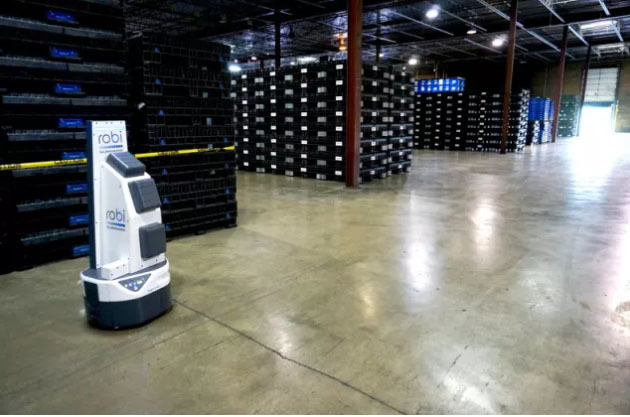 Mobile robotics/smart AGVs that can carry or pull inventory to workstations—or function as smart, driverless lift trucks—would alleviate the labor needs at the DC level and allow for DC automation that’s quicker to install and reconfigure. Economists differ on how much blame the Smoot-Hawley tariffs deserve for the Great Depression. They also disagree on how much credit President Franklin Roosevelt deserves for the Reciprocal Tariff Act, which put the U.S. on a path to lower tariffs. One thing appears certain. 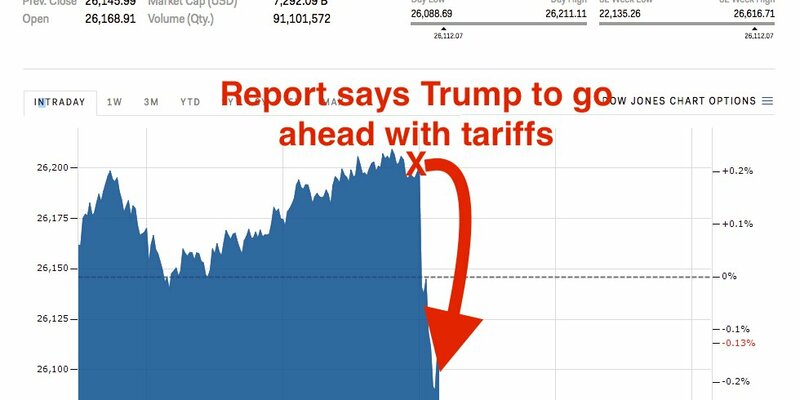 The potential economic impact of tariffs causes uncertainty on Wall Street. The stock market lost 800 points on Tuesday this week. Trump claims his tariffs will level the playing field. He may be proven right in the long term but there may be a severe short-term price to be paid. The Trump administration continues to escalate a trade war between the world’s two largest economies, moving ahead with tariffs on $50 billion of Chinese goods and provoking an immediate response from Beijing. Additional tariffs which may exceed $200 million. The shipping community has been on edge about the impact the tariffs may have on the logistics market since the tariffs were proposed. Before we examine the potential fallout lets outline precisely what industries will be affected. In January 2018, Trump imposed tariffs on solar panels and washing machines, and later this year, he imposed tariffs on steel and aluminum. Beginning on June 1, 2018, the Trump administration imposed a 25% tariff on imports of steel, and a 10% tariff on aluminum, on the European Union, Canada, and Mexico. The tariffs angered U.S. allies, who planned retaliatory tariffs on U.S. goods and heightened chances of a trade war. China said that it would retaliate for the tariffs imposed on $50 billion of Chinese goods that come into effect on July 6. India is also planning to hit back to recoup trade penalties of $241 million on $1.2 billion worth of Indian steel and aluminum. Other countries, such as Australia, are concerned with the consequences of a trade war. For American companies which manufacture metals, the tariffs are good news. But businesses that consume steel and aluminum, like automakers and beverage producers, the tariffs will likely mean higher prices. Domestic automakers will experience significant increases in raw materials in auto production and aftermarket parts. Beverage and food manufacturers will also see price increases in aluminum and metal can material. Just about any other manufacturer that incorporates metal in the production of their products like Caterpillar, Boeing, and Lockheed Martin will be facing higher raw material costs. For a full list of the products and tariffs, click here. As we all know by now, these costs will translate to higher retail prices for cars, beverages and airline tickets. Importers will have to plan for how these tariffs may affect their product mix. These and other trade policy shifts are disruptive to global supply chains, and the businesses and consumers depend on them. Regulatory modifications require companies to be keyed into new or altered trade sanctions, export license requirements, customs documentation, tax and duty codes, and stacks of legal requirements. Companies engaged in global trade must manage a tremendous amount of information to establish and maintain compliance with regulations. This information, also referred to as trade content, ranges from the harmonized tariff schedules for product classification, to the duty rates needed to calculate landed cost, to the controls that determine what is required for a transaction to be legally completed. To efficiently import or export goods, shippers need fast access to data for all the countries where they trade. Unfortunately, collecting, cleansing, and publishing trade content is a complicated task; which becomes even more challenging when considering the number of countries, number of government agencies, differences in trade regimes, and the ever-changing trade position of each country in the supply chain. Oakland convened the quarterly meeting of its “Efficiency Task Force” last month. In their recent evaluation of trade dynamics, the majority of these members maintain that cargo volume is spiking right now but could drop by January. Warehouses are filling up as U.S. retailers import merchandise from Asia. Shipping lines have added more than 30 extra voyages to regularly scheduled Transpacific services to transport larger container volumes. Ports up and down the West Coast have reported unprecedented cargo volume growth since mid-summer. West coast importers seem to be stocking up. Now is the time for contingency planning for just how the tariffs may affect your organization. Many companies lack the personnel and expertise to monitor trade compliance and manage international supply chains. Perhaps now, more than ever is the time to consult a qualified Logistics provider like Land Link Traffic Solutions. Our experts can ensure an uninterrupted supply chain during the trade tariff storm ahead. Contact us today to discuss your needs @ www.Land-Link.com.